Want to hide alerts in Messages app on iPhone in iOS 11 but don't know how? 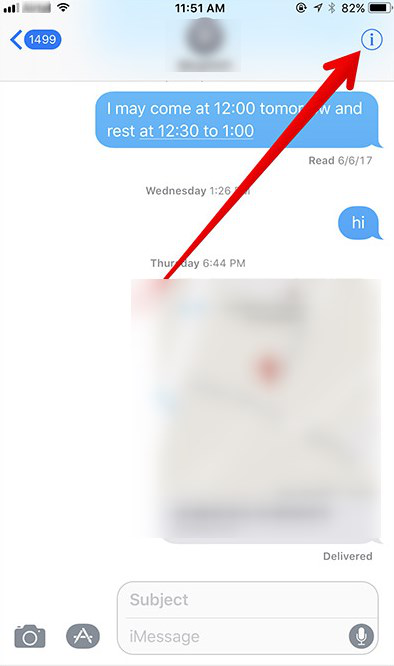 Read this post and you will know how to hide alerts in Messages app on iPhone in iOS 11. 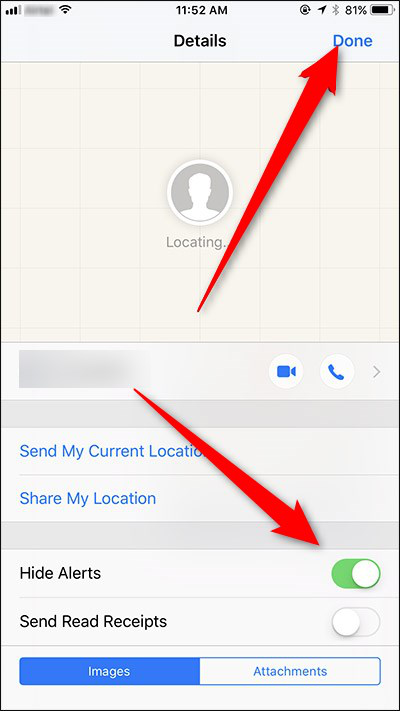 PhoneRescue – iOS data recovery could help you get back lost data after iOS 11 update, download it and give it a try after reading this How to Hide Alerts in Messages App in iOS 11 guide. We message for keeping contact with others and the message alert enables us to keep sync with the on-going conversation. Most people would not be bothered by the alerts, however, there are times when you want to give a break from repeated alerts that distract you from work or study. Good news is that in iOS 11, hide alerts function is equipped in Messages app. Now, read on this guide to get detailed steps to hide alerts in Messages app on iPhone in iOS 11. There are more new features in iOS 11 in Messages app, like one-handed keyboard mode, customizable app drawer, person-to-person payments. Please refer to other pages to know more. Step 1. Run Messages app on your iPhone, open the target conversation. Step 2. Tap the i tab on the upper right corner of the screen. Step 3. Enable Hide Alerts by switching the tab to your right, don't forget to click Done. If you don't want to hide alerts anymore, please go to the target conversation again, then click i tab, switch the tab next to Hide Alerts to your left, you can have message alerts again. iOS 11 contains new features that are really surprising, like new WiFi settings, text with Siri and so on. It is no doubt that jumping from iOS 10/9 to iOS 11 is worthwhile, but while performing upgrading, restoring iOS is involved, that is to say, data loss is likely to occur. Data loss is not a big deal if you have previous backups. For those who haven’t backups, it is suggested to use PhoneResue – iOS data recovery to recover some significant data. 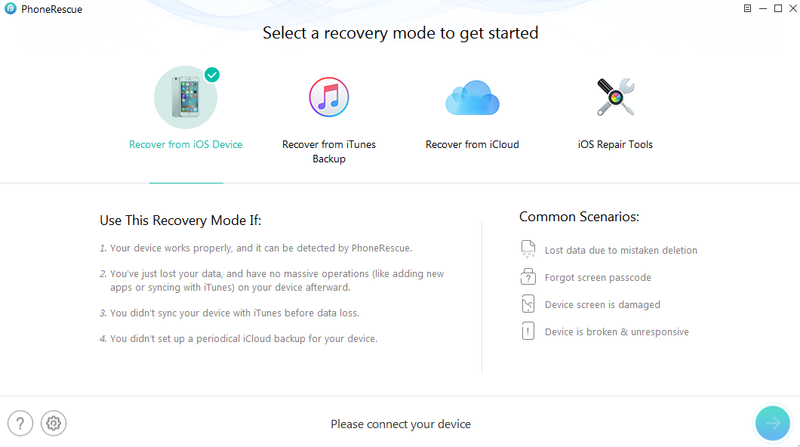 PhoneRescue is developed to recover data for both android and iOS users and PhoneRescue – iOS data recovery is aimed at recovering lost data on iOS devices no matter iPhone, iPad or iPod. With the help of PhoneRescue – iOS data recovery, you can recover up to 22 kinds of lost data like messages, contacts, notes and so on directly from iOS device. Besides that, you can also use it to extract data from iTunes or iCloud. That’s all for how to hide alerts in Messages app on iPhone and a nice way to recover lost data after iOS 11 update. If you find this post helpful, please give it a like or share it with others. By the way, if you are encountering iOS system failure like Apple Logo, stuck in recover mode caused by updating, PhoneRescue – iOS data recovery is also a good way to go. Why don’t you download PhoneRescue – iOS data recovery and give it a try?